Like the artistry that goes into hand-stitching a leather-wrapped steering wheel, the attention and care our Kia service staff put into their jobs every day makes for a service experience unlike any other! So, if you’ve been looking for somewhere to take your Kia for anything from routine maintenance to more extensive diagnostics, you can rely on our service center! Convenient Hours: We’re open from 7:30 AM to 6:00 PM Monday through Friday and 8:00 AM to 4:00 PM on Saturday. Easy-To-Access Location: Our service center is located at 1661 Aurora Avenue in Naperville, Illinois. Highly-Specialized Staff: Our staff is Kia-trained, and thus, knowledgeable about how to get your particular vehicle into its best shape, no matter its age or condition. What’s more, you’ll find our staff to be friendly, accommodating, and experienced for all your service needs! Amenities You Won’t Find Elsewhere: From shuttle service to and from our service center for busy professionals to loaner cars for some repairs to Wi-Fi in our waiting lounge, we offer amenities you likely won’t find at other service shops. Service Specials: Our Kia service prices for parts and labor are competitive with what other shops charge, but if you’re looking to save even more, you can find additional savings by browsing our current service specials! Book Your Next Service Appointment Today! 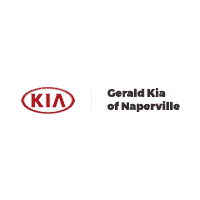 Ready to bring your Kia to our service center for repairs or maintenance? Don’t hesitate to give us a call with any service-related inquiries at (888) 409-0125! You can also easily schedule service online or visit our service center in-person! However you get in touch, we’re looking forward to giving your Kia the mechanical attention it deserves and providing you a superior service experience!